The Three Gorges Reservoir (TGR) began operation in 2003 and caused alterations in the natural hydrological regime and severe environmental impacts. Baguazhou Reach, a goose-head pattern of braided channels in lower Yangtze River has emerged due to a series of changes in water and sediment conditions caused by TGR. 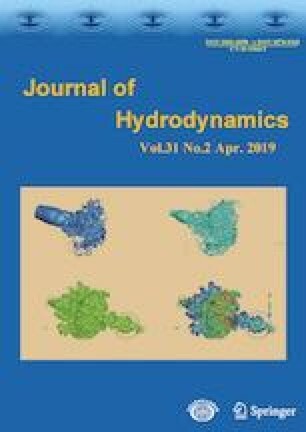 This paper aims to simulate the hydrodynamic characteristics under the condition of clear water releasing from TGR and analyze the features of deformation within the branches of the reach, also to predict the future effect of hydrodynamic enhancement and additional fluvial processes as well. The results show that the decline of the tributary is mainly controlled by the weakness of inflow energy and contrast in channel resistance. The particular protective measures can effectively enhance hydrodynamic and improve the present situation but, they all result in the deflection of the main water flow and increase the local velocity, and over the long term, deposition also occurred in the junction areas which need special protection. Project supported by the funding received by the National Key R&D Program of China (No.2016YFC0402501), the National Natural Science Foundation of China (51479071), the “111 Project” (B17015 and B12032) and the Jiangsu Colleges and Universities Academic Building Engineering Project (YS11001).